That’s an extremely aggressive roadmap and the most ambitious we’ve seen from the company by far. At no point in recent history did any company, TSMC, Intel, Samsung and Globalfoundries included, manage to introduce two full node transitions in two successive years. In fact the historically trend has been established at a 2 year cadence roughly for every major node. Process node migrations have also recently slowed down dramatically. 14nm chips have only begun ramping recently by Intel and Samsung . TSMC has yet to launch its 16nm process but is promising volume production to kick off in Q3 this year, after four long years since the introduction of 28nm in 2011. 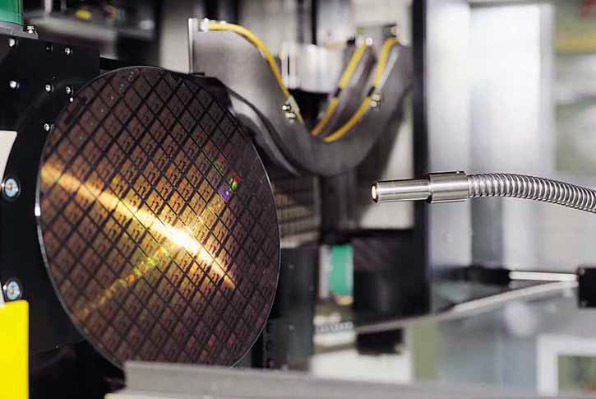 TSMC had faced serious challenges with its 16nm FinFET manufacturing process. The process faced three major setbacks amounting to nine months of delay. TSMC was in fact so far behind its competition on FinFETs that it prompted its largest client, Qualcomm, to jump ship to Samsung. Rumors have also been circulating that Nvidia is considering moving its manufacturing to Samsung as well. Which would constitute a major blow to TSMC’s client portfolio. However TSMC states that its troubles are mostly behind and that progress with future 10nm and 7nm nodes is going swimmingly. In fact the company has already demonstrated working 10nm silicon and is slated to complete qualifying the process in Q4 of 2015. Mark Liu CEO of TSMC stated that 10nm technology will be available to customers in late 2016 followed by expanded volume production in early 2017 which is when revenue from the first 10nm wafer sales are expected to roll in. Commercial chips based on this technology will likely begin to show up in the market later in the year. Liu also stated that work on the company’s 7nm node began last year and the manufacturing process is scheduled to arrive to market in 2017. If TSMC manages to successfully deliver on its promises the whole industry is bound to be pushed forward. Advancements in manufacturing processes mean faster, more complex and more efficient processors. We’re hoping that the recent aggressive play by Samsung and Globalfoundries will only serve to ignite competition and move things at a faster pace. The industry has been in a relative slump as of late However TSMC’s announcements today are a refreshing sign and an indication that the market maybe returning to a healthier state.